During the Cold War, there was a tendency in the West to believe that the Soviet system, and in particular the Soviet army, could not innovate. It was sometimes assumed that innovation was the sole preserve of the West, and that Soviet designers merely copied Western inventions. This article will outline some Soviet military innovations developed during the Cold War. It is my intention to show that Soviet military designers could, and did, produce innovative systems. 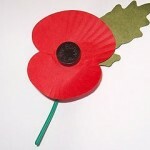 Some were very effective, and later adopted by other armies, including those in the West. As is to be expected when dealing with radically new ideas, some did not live up to expectations. Soviet military thinkers didn’t only adopt domestic innovations, they also adopted ideas from other countries. Assault rifles and infantry fighting vehicles were two examples of this. Both were German inventions, and both were adopted by the Soviet and other Warsaw Pact armies. The West Germans were the first to adopt the infantry fighting vehicle concept, but the rest of NATO didn’t catch up for some years. The Soviets not only adopted the concept, they also expanded on it, to create the BMD airborne combat vehicle. This could be dropped by parachute to provide airborne units with much-needed mobility and firepower. AK-47. An iconic design, based on a German idea. The Germans used assault rifles during World War II, and the AK-47 entered service with the Soviet army in 1949. NATO, on the other hand, didn’t start introducing assault rifles until at least the 1960s. Many NATO armies didn’t do so until after the 5.56mm round was standardised with the adoption of STANAG 4172 in 1980. Although the BMP wasn’t the first infantry fighting vehicle, it did have some innovative features. It was the first to add an anti-tank guided missile launcher. This marked a significant increase in firepower over the autocannon-only armament of the German Schützenpanzer Lang HS.30, and was widely adopted by other armies on later vehicles. The BMP’s 73mm gun was another interesting feature. In order to fit a large calibre gun in a small turret, Soviet designers developed a low pressure gun, the 2A28 Grom. Based on the SPG-9 recoilless gun, it had a short recoil and fired the same projectiles as the SPG-9. The relatively large calibre of the gun meant that the HEAT warhead could penetrate the frontal armour of contemporary NATO main battle tanks, something that would not have been possible with an autocannon. The T-12 anti-tank gun, which entered service in 1961, was a smoothbore weapon that fired fin-stabilised ammunition (APFSDS). This new ammunition was much longer and thinner than traditional spin-stabilised AP or APDS ammunition, giving it greater penetration. The T-62 subsequently became the first tank to be fitted with a smoothbore gun, the 115mm 2A20. Every subsequent Soviet main battle tank was fitted with a smoothbore gun in preference to a rifled weapon. Many other nations also adopted smoothbore guns firing fin-stabilised ammunition for their tanks. The 2B9 Vasilek was an 82mm calibre mortar. Although it could be muzzle-loaded like a traditional mortar, it was normally breech-loaded using a clip containing four rounds. These four rounds could be fired in two seconds. These rapid bursts of fire meant a greater quantity of explosive landing on the target in a shorter time, increasing the shock effect on the target. 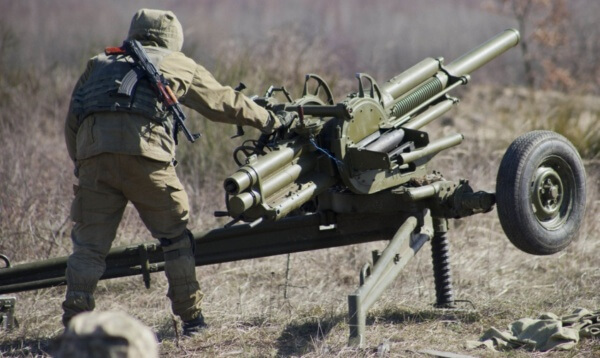 The concept of an automatic mortar has not been widely adopted elsewhere. The Soviet army evidently considered the Vasilek to be a success, taking an improved version, the 2B9M, into service in 1983. This version is still in service with the Russian army. Soviet military innovation wasn’t confined to weapon systems. 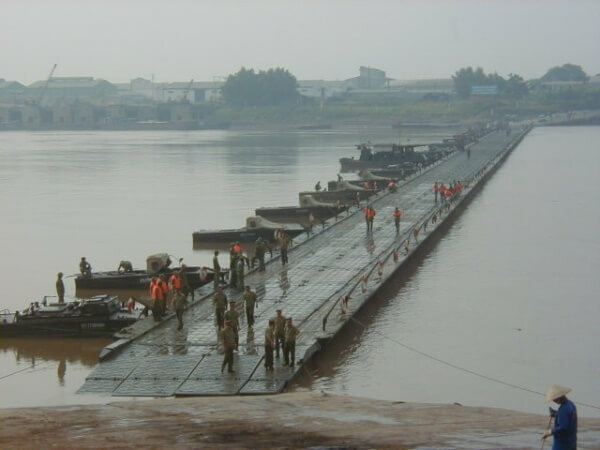 In 1962, the PMP pontoon bridge was introduced, which incorporated a number of improvements over existing designs, both Soviet and NATO. Each pontoon had an integrated roadway, and was made up of four sections, which were folded in an accordion style for transit. This efficient use of space allowed each pontoon to be longer than previous designs, and so fewer pontoons were required for a full bridge. Pontoons were launched by simply removing travel locks and reversing the lorry to the river edge, allowing momentum to carry the pontoon onto the water. The pontoon started to unfold automatically as it landed in the water. It would then be fully unfolded, locked and moved into place in the water. The combination of features meant that a full 227m long, 60 tonne capacity bridge could be completed in under an hour, two to three times faster than the earlier TPP. The Polish army built on the PMP design, creating the PP-64. This had a lower load capacity, but could be assembled more quickly. The US army also adopted the PMP’s design ideas in their successful Ribbon Bridge design. Staying with bridging systems, the Soviet Union introduced the MTU-20 in 1967. This mounted a folding bridge on a T-55 tank chassis. Unusually, it was not a scissor bridge — it did not fold in the middle. Scissor bridges would be raised to the vertical, then unfolded over the gap to be bridged. This meant that they had a very high silhouetted during launching and recovery. The MTU-20’s bridge folded at each end instead of in the middle. To launch, the ends of the bridge were unfolded, then the whole bridge was rolled forward. This was slower than the scissor bridge technique, but resulted in a much lower silhouette during launching and recovery operations. The Soviet army obviously decided that the longer launch time was acceptable, as the later MTU-72 used the same type of bridge. This article concentrated on the Soviet army, but innovation was by no means limited to the army. For instance, the Soviet navy was an early adopter of hovercraft for landing naval infantry. The Kiev and Admiral Kuznetsov class aircraft carriers were very different to Western designs, featuring heavy anti-ship and anti-aircraft armaments in addition to aircraft. They also developed ground-effect vehicles for use as high-speed transport and missile craft.